The most dramatic elephant ear I’ve seen. 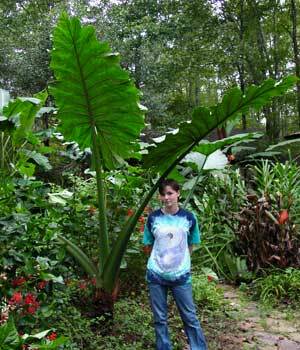 The eight foot tall plant has gigantic leaves, heavily scalloped. They are held upright on big, thick stems that are green to purplish in color.